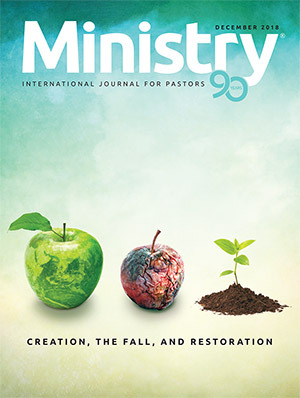 J. Robert Spangler is the editor of MINISTRY magazine and an associate director of the Ministerial Association of the General Conference of Seventh-day Adventists. Nearly three years ago my wife and I visited the Soviet Union at the joint invitation of the Soviet government's Council on Religious Affairs and of Seventh-day Adventist Church leaders in that country. In September of 1986, responding to a similar invitation, we spent three weeks there, accompanied this time by Dr. V. N. Olsen, former president of Loma Linda University. Our travels in that part of the world took us more than 10,000 miles. We met with non-Adventist government and religious leaders and Adventist Church members and ministers in Moscow, the capital city; Tashkent in central Asia; Novosibirsk, the central city of Siberia; Lvov and Chernovtsy, cities near the Polish and Romanian borders in the southwest; the port city of Odessa on the Black Sea; and finally Riga, Latvia, on the Baltic Sea. The attentive service of our church leaders and our translators and the hospitality of our members guaranteed a most pleasant and profitable tour. Soviet Christians are some of the most gracious and warmhearted people in the world. Do Christians suffer in Communist bloc countries? Everywhere I report on visits to Communist countries, people ask about religious persecution. What is the truth? 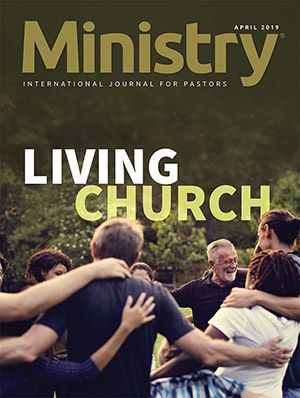 I questioned our church leaders carefully and was unable to find any evidence that Adventists were in prison for any reason that could be connected with their religious beliefs—not even for participation in "underground activities." Some may wonder if our leaders would know if a member was incarcerated. From what I've observed, it would be quite impossible for them not to know, no matter what the reason behind the incarceration! Our leaders, and those of the Russian Orthodox Church and the Muslim faith, indicated that the winds of religious freedom are increasing. We could sense the change in atmosphere. In a conversation I had with a Soviet government official, he remarked, "It was thought that after the revolution in 1917, religion would vanish—but it didn't. We made a mistake. Not that the concepts and philosophy of Communism are wrong. . . . The mistake was in the practical application of these concepts. Sometimes it is difficult to harmonize theory and practice." Now Soviet newspapers are printing articles touching on religion, an indication that it is legitimate to discuss religion in the press for other purposes than simply to denigrate it. Aitmatov's work titled "The V-Chopping Block," presently being published by installments in the Soviet magazine Novy Mir (New World), offers one example. It says people today are in a dark pit. Not knowing the way out, they bump against trees and each other. This article indicates that the reason for this situation is that religion was taken from people and they were given nothing in return. As another example, portions of the Soviet media openly suggest that to understand their culture, Soviets must study their country's important Christian thinkers and theologians of the past. An article in the August 1986 issue of Ogonyek, a weekly social, political, and literary magazine and one of the nation's most popular journals, provides an evidence of this. In that article, Sergey Averintsev, a renowned specialist on culture, claims that one cannot fully understand Russian culture without being acquainted with Vladimir Solovyov's The justification of Good and The Three Conversations. Solovyov was a leading Christian philosopher in Russia in the nineteenth century. His works have not been published since 1917, the year of the Russian Revolution. Averintsev has also published a new translation of the book of Job. This biblical book is now part of the Soviet Library of World Literature. We hope that this foreshadows the entire Bible being made available through the nation's bookstores. Much of the religious persecution that this world has seen has taken place when religious organizations have dominated secular governments. This has been true particularly when governments and religions have united to rule the masses. Even today, much of the conflict around the world—the riotings, bombings, hijackings, and civil wars—involves a strong religious element. Unfortunately, Jesus' words "I have not come to bring peace, but a sword" (Matt. 10:34, RSV) are seeing a fulfillment beyond their original intent. Many of the books that have been written about the causes of the French Revolution reveal the far-reaching con sequences of the rejection of the Bible and of true Bible religion. I believe that the battle against the Bible that took place during that revolution occurred mainly as a result of the apostate state church's perversion of the gospel and suppression of the Scriptures. At that time France had the unique distinction of being the only nation on earth whose legislative assembly had officially declared that there was no God. 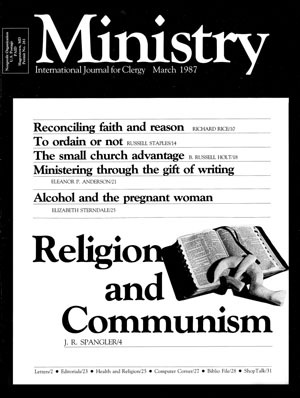 Similar factors have underlain modern Communism's attitudes toward religion. In old Russia when the church formed alliances with the secular state, its witness was prostituted, Christianity was perverted, and the oppression of religious minorities resulted. The objective student of religious history cannot make a wholesale condemnation of the Communist system when he knows that the church is simply reaping what it has sown. In his book World Communism in Endtime Prophecy, Carsten Johnsen underscores this point. He writes, "The church has professed Christ, while defending doctrine and practice quite the antithesis of His. It must then bear its share of responsibility, not only for the appeal of Communism, but also for its very existence" (p. 12). Disposing peace and war thine own majestic way." Under Rome's tyrannical rule, Jesus Christ was crucified, the apostle Paul was executed, and many other Christians were cruelly persecuted and martyred. The all-powerful emperors held the office of pontifex maximus, which made them the head of the state religion, and in time they demanded to be recognized as fountains of all wisdom and power, and even to be worshiped as gods. Yet though Rome caused so many of God's children to suffer, I fail to find a single instance of Christ challenging or condemning its authority. Furthermore, Paul, before his death under the Roman sword, admonished the church to "be subject unto the higher powers. For there is no power but of God: the powers that be are ordained of God. Whosoever therefore resisteth the power, resisteth the ordinance of God: and they that resist shall receive to themselves dam nation" (Rom. 13:1, 2). Paul does not imply in these verses that God always approves the conduct of civil governments. Certainly He was extremely unhappy with Hitler and Stalin, who each were responsible for the deaths of millions. Paul's point is that as long as God entrusts human government to men and as long as the laws of these governments do not conflict with His commandments, we are to obey these governments, even when religious freedoms are limited. Christians will support the authority of the existing state and will not presume to resist or attempt to depose the powers that be except by legal means. Christ's message is one of peace and brotherly love. We are to pray for those in authority (1 Tim. 2:1-2) and to obey them (Titus 3:1). Peter commands Christians to submit "to every ordinance of man for the Lord's sake" (1 Peter 2:13). On the other hand, this same Peter told the ruling power in Judaism—the Sanhedrin—"Judge for yourselves whether it is right in God's sight to obey you rather than God. For we cannot help speaking about what we have seen and heard" (Acts 4:19, 20, NIV). Because Peter and the other apostles disobeyed the proscriptions the Sanhedrin had enjoined upon them, that governing group had the apostles arrested and imprisoned. In his defense, Peter simply said, "We must obey God rather than men!" (Acts 5:29, NIV). Is there then a contradiction in Scripture? No! The Bible does not suggest we must render absolute obedience to the civil authorities. Only God is worthy of absolute obedience. Our obedience of the civil authorities, comprehensive though it may be, must come to an end in those instances where their laws conflict with God's commands. The civil powers have no authority over our witnessing to the gospel. If the civil powers attempt to restrict the Christian's witness, he or she is free to obey or disobey as the Holy Spirit leads. Christians should do everything in their power to avoid conflict with the government. 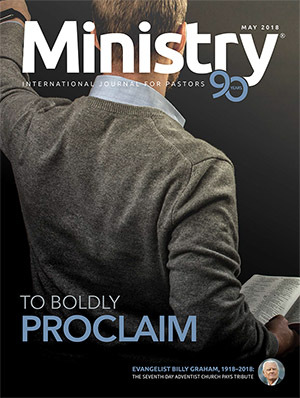 If some means of witnessing are forbidden, but they can obey the government and proclaim the gospel just as effectively by other means, they should use the latter. But if laws forbid them to witness for Christ, they may have no other choice than to follow the example of Peter and the other apostles in disobeying the authorities. This may lead to prison and even death, as it did for the apostles; but it might also lead to thousands being added to the church (Acts 2:41, 47; 4:4; 5:14; 6:7). In harmony with these biblical concepts, the Seventh-day Adventist Church decided to recognize in the U.S.S.R. only that group of Adventists that is registered by the government— the vast majority of Adventists. This has brought considerable unity and strength to our membership of nearly 35,000. 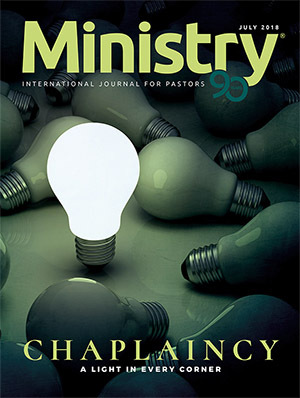 According to Mark Elliott's informative article on Eastern Europe in Eternity, July/August 1986, more than 200 parachurch groups are attempting to respond to the needs of Christians in Communist countries. These groups represent a "veritable explosion of Western interest in Soviet bloc Christians." Elliott questions the motives of some of these organizations, which raise millions of dollars for the aiding of the religiously and economically oppressed. He says, "Some missions play to the reactionary tendencies of at least some of their donors by giving way to sensationalism. 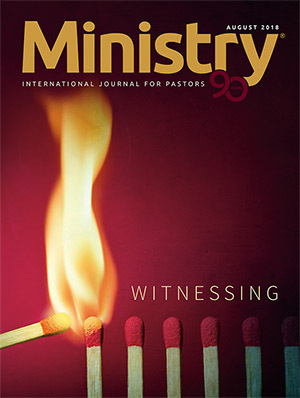 One West Coast mission director stated in an interview that his literature purposefully concentrated on emotionally charged articles because copy highlighting violence and physical abuse of believers stimulated donations. Associated Press religion writer George Cornell is right in saying some groups make a living 'peddling hate and fear' " (pp. 25, 26). Those who are deeply concerned for Christians in the Communist world, those who sincerely and honestly are attempting to share the good news with these countries, are to be commended. Yet a word of caution is in order. While we must recognize that religious freedom in most Communist countries does not equal that of the West, we must also ask what use Christians in these countries are making of the freedoms they do have. Reverend Michael Zhidkov, vice president of the Baptist Union in the U.S.S.R., told me, "At most, we use approximately 70 percent of the rights that are available to us." So rather than emphasizing the restrictions that are there, let me point out what we can and are doing to advance the gospel in these Eastern bloc countries. Our church is able to worship freely in its buildings. We are able to secure property and to build new churches as permission is granted. We are able to do personal witnessing to those who show an interest in learning about Christ and the gospel. We can arrange for the government presses to do some printing for us; they have produced Bibles, songbooks, and a limited amount of other Christian literature. And parents are allowed to arrange Sabbath privileges with school authorities, though at times this can be difficult. A further indication of the opening doors came while we were eating our last meal in Moscow in an apartment made available to us by the Baptists, whose church we share there. During that meal Pastor Kulakov was handed a letter from the chairman of the executive committee of Tula giving us permission to start a Bible correspondence school for our ministers. Our leaders in the Soviet Union have secured property between Moscow and Tula that we can use for this purpose. Here, from time to time, we will be able to bring in groups of our ministers for training. We feel fortunate to be able to start this mini-seminary, since an untrained minister is a detriment to both society and the church. One of the high points of our trip was a 100-minute conference with Mr. Konstantin Kharchev, chairman of the Council of Religious Affairs for the U.S.S.R. For four years he was the Soviet ambassador to Guyana, and he still retains the diplomatic rank of ambassador. Mr. Kharchev was cordial, frank, and open. Our discussion ranged from the advance and needs of the Adventist Church in the Soviet Union to the aims and objectives of the Council on Religious Affairs. Neal C. Wilson, world president of the Adventist denomination, visited the U.S.S.R. five months before we did. He too had an interview with Mr. Kharchev. 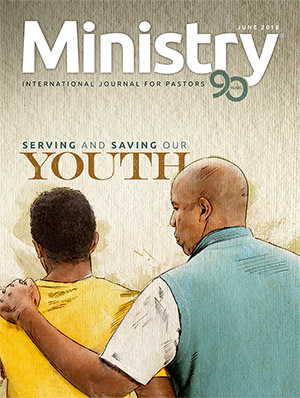 In view of the tragedy at Chernobyl, which had occurred just two weeks before his visit, Pastor Wilson, on behalf of the Seventh-day Adventist Church, sent with us a letter and a check for $25,000 to be presented as a gift to the Soviet government through Mr. Kharchev to aid the Chernobyl disaster victims. Our church wants the Soviet government to understand that Adventists are concerned for people's welfare. Our message touches the physical as well as the spiritual life. After presenting Mr. Kharchev with this gift, we learned that he was coming to the United States to attend a confer ence. (Rabbi Schneier, founder and president of the Appeal of Conscience Foundation, sponsored Mr. Kharchev's visit.) Arrangements were made for Mr. Kharchev to visit our Washington, D.C., world headquarters and several of our institutions. The night before his visit, the Soviet Embassy invited five of us from our Adventist world headquarters to join a group of other religious leaders at a reception in Mr. Kharchev's honor. We appreciated the opportunity of meeting there the Soviet ambassador to the United States, Yuri Dubinin, his wife, a number of other embassy officials, and religious leaders from the Washington area. Adventist Church leaders arranged for a helicopter to fly Mr. Kharchev to our new Review and Herald publishing house and printing plant in Hagerstown, Maryland. From there he was taken to our 224-bed Shady Grove Hospital and then to one of our church's secondary schools, where the entire group of students greeted him. His final stop was at our world headquarters complex, where a banquet was held in his honor. His remarks at the banquet indicated that this contact with our church leaders would help him to understand better our church's objectives, beliefs, and organizational structure. We firmly believe that these types of contacts are necessary to the building of bridges of mutual understanding. As Christians, we are ministers of reconciliation and not condemnation. I believe that in terms of religious freedom, both the Christian church and the non-Christian religions are making progress in the Soviet Union. 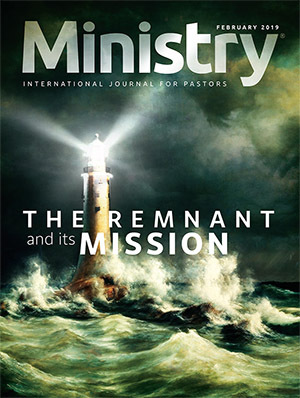 Presently there are approximately 50 million Russian Orthodox believers, 40 million Muslims, 500,000 Baptists, Mennonites, and Pentecostals combined, and 35,000 Seventh-day Adventists. Of course, other religious groups function there as well. Our next stop was Poland. The Polish people suffered enormously during World War II. Out of the population of 38 million, 6 million—16 percent of the population—were killed. Prior to the war all of the religions except Roman Catholicism were controlled by a combined church-state government. There was widespread persecution, and the state gave these minority religious groups no legal recognition. Like the other religious organizations, the Adventist Church was merely tolerated. Many of our ministers and laypeople suffered in prison for their faith. After the war all religious organizations had the opportunity to register with the government. In 1946 Seventh-day Adventists received state recognition, and since then our privileges have increased, until today we have virtually unrestricted religious freedom. Pastor Stanislaw Dabrowski, president of our church in Poland, pointed out that we now have 84 churches and 40 smaller groups of members in that country. Although we have only 5,000 members, approximately 8,000 people attend our churches, and we baptize approximately 300 to 400 a year. Since World War II we have either built or renovated 62 church buildings. One of the reasons our church in Poland continues to grow at a rather slow rate is because it is not difficult for people to emigrate. Many Polish Adventists have moved to Australia or West Germany. In fact, more live outside of Poland than inside. The only Adventist Book Center in all of Europe is in Ludowici, Poland. We have 70 Polish literature evangelists, who are free to sell our literature anywhere in that country. Our church leaders there are in the process of securing a press on which, beginning this year, they will do their own printing. We already have our own bindery. 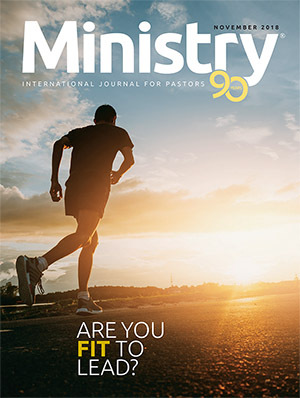 Adventists print 30,000 copies monthly of the religious journal Signs of the Times. Half of these are sold in state stores or on street newsstands. We have published .500,000 copies of various Adventist books (16 titles). Our health message is received extremely well— Mrs. Dabrowski, wife of our president, authored a recipe book called Health Kitchen that sold 30,000 copies in one week. Our members in Poland prepare radio programs in Polish for broadcast over our stations in Portugal and Italy. In Poland itself we have a quarterly 40-minute broadcast on state radio. The Polish Bible Society is within two blocks of our headquarters office, which is located on a main thoroughfare in Warsaw. It is open to the public and is well stocked with translations in several languages. When I stopped there, I bought five Bibles. 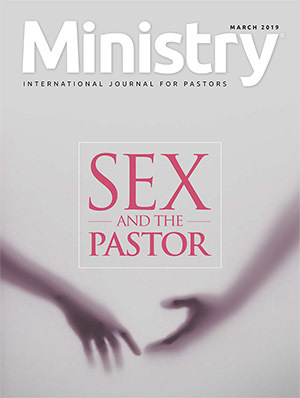 All of our ministers have open mail boxes and can receive religious literature, books, and papers with no restrictions. For our public evangelistic meetings, we are able to pitch tents, rent halls or churches, pass out handbills, and to display openly posters advertising the meetings. Three days before our visit our church dedicated its new seminary building near Warsaw (see photo). Forty students are in residence, and 70 home study students attend periodically to receive additional training. We are proud of our new seminary structure. Our churches have Sabbath school classes (equivalent to Sunday school) for the children and young people. If young people are registered as believers, they are able to have Sabbath privileges while attending public schools. Poland requires its young men to serve one and a half years in the army. With a letter from his local pastor stating that he is a Seventh-day Adventist, a young Polish believer may be allowed to keep the Sabbath and to attend church. Local army leadership grants this permission, but if a problem arises, a letter to the defense minister brings help. If a young man does not choose to go into the army, he can substitute three years in medical service or working in the coal mines for the year and a half of military service. He receives a salary for this work, and no stigma is attached to his choice. No Adventists are in prison for their faith in Poland. Mr. Lopatka complimented the activities of the Adventist Church in his country, especially in the areas of healthful practices. We, in turn, extended to him our appreciation for the freedoms our church and other religious organizations enjoy there. In Prague, Czechoslovakia, my wife and I were met by Pastor Oldrich Sladek, president of our denominational organization in that country. His amiable and aggressive spirit has brought strength to the Advent movement. Czechoslovakia has a population of 15.5 million people. The Adventist Church there has a membership of nearly 8,000, with 169 churches. Most of the congregations have their own buildings, and the denomination is able to secure permits to build or buy more. In Prague, the capital, we have four church buildings, including one we built recently that seats approximately 800 (see photo). Although my wife and I were there on tourist visas (I had been to Czechoslovakia earlier in 1986 on an official visit), we were granted permission to preach. What a joy it was to meet with the members of our churches in Prague in this lovely sanctuary! Its beauty equals that of any Adventist church in the world. On the national level, Czechoslovakia has two departments for religious affairs—one headquartered in Prague, for the Czech republic, and the other headquartered in Bratislava, for the Slovakian republic. The Ministry of Culture in each of the republics super vises these departments. The country is further divided into 10 districts, each of which has a representative for religious affairs, as do each of the towns. There is no shortage of Bibles in Czechoslovakia. Bibles are both printed in the country and imported. A new ecumenical translation has become quite popular. 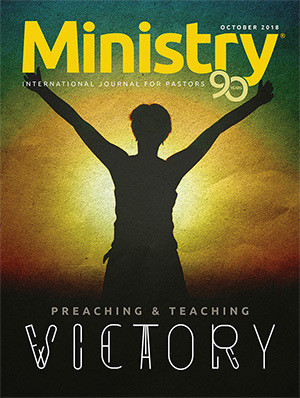 Our denomination employs 96 full-time ministers and Bible workers in Czechoslovakia. I believe we are the only denomination to pay our pastors without state aid. We are allowed to rent other churches when we need more room than our own provide. For instance, in May 1986 we rented a large church belonging to another denomination so that we could hold a meeting for our members from various churches in and around Brno. We are also able to hold evangelistic meetings in our churches and use them fully without seeking special permission. The government prints 12,000 copies of our bimonthly church journal, Signs of the Times, without censoring it. This journal, which is sent to all our members, is in four colors and is beautifully done. Our Sabbath school lessons are also printed in sufficient quantities for all our members. The four quarterlies for the year are translated into the Slovakian, Hungarian, and Czech languages and are bound in one volume. Our church in Czechoslovakia owns, with official permission, a very good offset press and several binding machines. The church has had books printed for it by the state and has also printed its own. 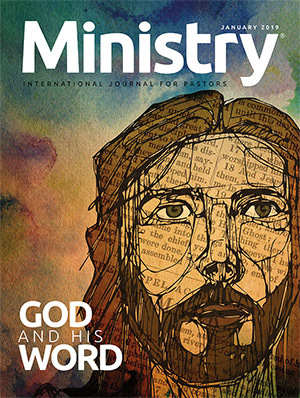 It publishes a children's magazine entitled Little Light, and is preparing a new church hymnal. At the present our press is located 100 miles outside of Prague, but the church has purchased a new property in Prague and is in the process of remodeling the building and moving the press. Czechoslovakia operates on a five-day workweek, so Adventist children do not have to face the question of attending school on Saturday. Although the state controls the educational program of its citizens, our church is allowed to con duct Sabbath schools for our young people on Saturday mornings. We are also allowed to run a theological training program on the second weekend of the month 10 months a year. For this program we bring together students from all over the nation on Friday afternoon, meet all day Sabbath, and end our program on Sunday afternoon. Twenty of our students are allowed to attend a seminary in Prague. 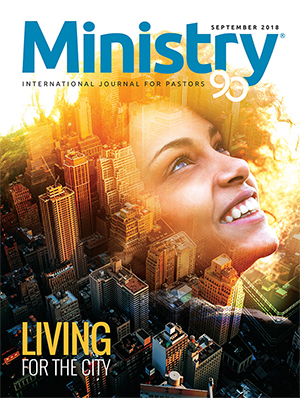 Our head quarters office in Prague receives 15 copies of MINISTRY magazine every month. Permission to bring in books and materials for our church program is not difficult to secure. As we came to the end of our six-week tour, we felt that God truly is blessing the Christian work in all these countries. The challenge is great not only here but throughout the whole world. What we do to prepare a people for the soon coming of the Lord Jesus Christ we must do quickly. The question raised earlier comes to those of us in the West, too: Are we making use of all the opportunities and liberties we have for sharing the good news with the world?